OMGosh!! Can you believe it?! Where did all the time go? 2018 is almost over….. WOW!!! Definitely feeling blessed because this year has been a fabulous one full of total awesomeness!! Got the exciting opportunity to be a VIP at the First Annual Mountain State Supernatural Convention that was presented by Society of the Supernatural! It took place on Saturday, June 16th at the Wheeling Island Hotel Casino in Wheeling, West Virginia. Also, my husband and I spent that entire weekend at the haunted and beautiful Bellaire House in Bellaire, Ohio, where we joined others as we all investigated the paranormal activity that has been so well-known to take place there. What a phenomenal time we had, my husband and I still continue talk about it! I was so pumped that I wrote an article titled, Spooks, Speakers & Spirits to share the exciting details with you! and hosts, Jerry & Allan of The Calling (Two Episodes: http://www.paraxnetwork.com & http://www.para-x.com)! A HUGE THANK YOU to all the hosts and their awesome shows, it was such an honor to be a part of their broadcasts! As always, I have such a great time getting to chat about the paranormal, my writing, upcoming projects and just getting to meet everyone! I absolutely love the interaction!!! Also, a HUGE THANK YOU to each and every single one of you for your positive energy! There aren’t enough words to express the gratitude that I have for all of you, YOU ROCK!!!!! She soars high above adversity, rising higher than she’s ever been before. The Phoenix is an exquisite representation of a courageous spirit who refuses to back down in the face of fear. The Phoenix is strong, confident and ever so elegant. She embraces the will to survive and seeks to aid others on their journey to empowerment! 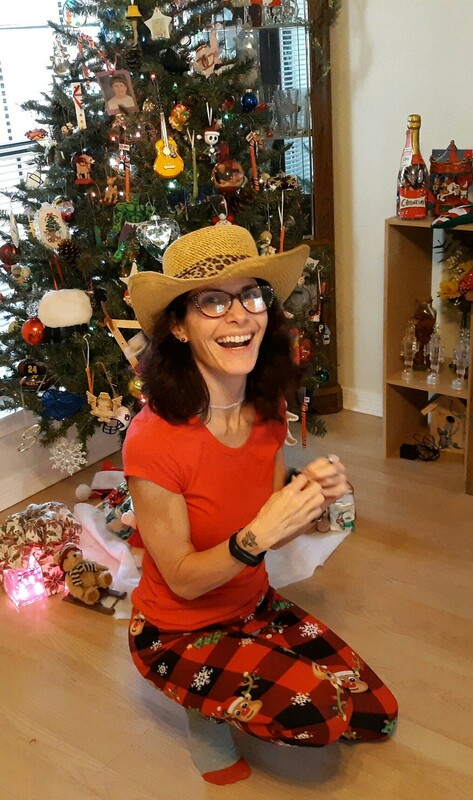 Recently I wrote an article titled, Dodging the Bullet about how I had to get further testing (another mammogram and an ultrasound) to make sure that I didn’t have anything ailing me. My results came back all clear, thank goodness! 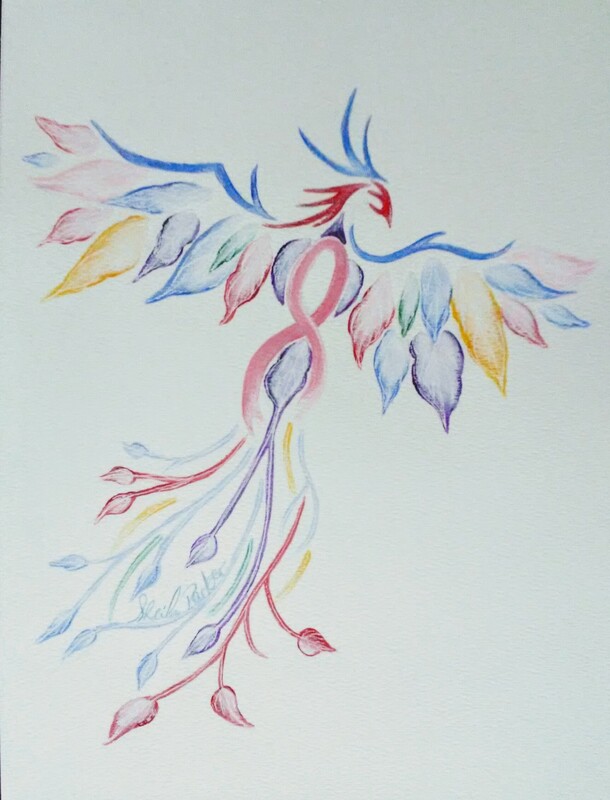 But after all was done, I was inspired to paint a soaring Phoenix with a Breast Cancer Awareness ribbon as the bird’s body. I searched online for ideas on how to design the Phoenix and finally came up with a soft, yet bold, representation of how I wanted the artwork to turn out. Viewing the highest level of Heaven as it beams down through the clouds, amid its grandeur and grace. There’s such beauty when gazing into the above, wouldn’t you agree? While watching the clouds drift by, one can see endless images form right before their very eyes. Such a majestic world we live in, one can easily get lost daydreaming in its glory. 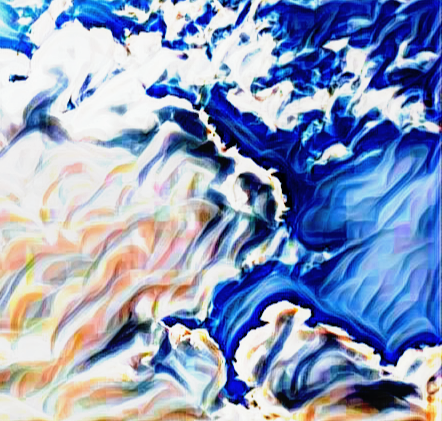 “The Empyrean” is a work of art that I passionately created inspired by the late afternoon’s sky. I was so moved by the vibrancy of the blues and the cotton candied hues that I couldn’t resist getting lost in the intensity of the moment. For prints, beach towels, fleece blankets, phone cases and so much more….visit Fine Art America! Joseph Carey Merrick, a.k.a. “The Elephant Man”. On August 5,1862, Joseph Carey Merrick (who was often incorrectly referred to as John Merrick) was born in Leicester, England. His parents were Joseph Rockley Merrick and Mary Jane Merrick. During his early years in life, Joseph Carey began to suffer from extreme facial and body deformities. He appeared to have thick and lumpy skin. His lips became rather enlarged, and a bony lump started to grow on his forehead. One arm and both feet also grew to be enlarged and during his childhood he had fallen, damaging his left hip which caused him permanent lameness. At the age of only eleven years old, Joseph Carey’s mother passed away. The cause of her death was bronchopneumonia. His father remarried not long after. Wrongly, he and his new wife rejected Joseph, treating him like an outcast. Joseph Carey was forced to leave home, finding shelter at the residence of his uncle, Charles Merrick. At thirteen years old, Joseph gained employment working at Freeman’s Cigar Factory in Leicester. And then, in December 1879, at seventeen years of age, he joined the Leicester Union Workhouse. A few years later in 1884, Joseph got in contact with Sam Torr who was a showman. Joseph suggested that Sam should put Joseph up as an exhibit because of his unusual deformities. Torr agreed on the proposition and along with a group of men who managed Joseph, they came up with Joseph’s exhibit’s name of “The Elephant Man”. After touring for some time, Joseph made a trip to London to be put on exhibit in a penny gaff located on Whitechapel Road which was rented by Tom Norman who was also a showman. Norman’s shop was located right across the street from the London Hospital. Frederick Treves, who was a surgeon from the hospital, visited Norman’s shop. Dr. Treves automatically showed interest in Joseph Carey Merrick. The doctor invited Joseph to the hospital to be examined and photographed. This made Joseph feel uncomfortable, like an animal, and he refused to return to the London Hospital. This angered Dr. Treves and oddly enough, Norman’s shop was closed by local authorities. Upset by it all, Joseph decided to seek another opportunity elsewhere and joined a gentleman by the name of Sam Roper who owned a traveling circus that toured throughout Europe. As time went on, Joseph was unfortunately robbed in Belgium, abandoned in Brussels, and finally made his way back to the London Hospital. Dr. Treves allowed Joseph to stay the remainder of his life at the hospital, free room and board. With daily visits from Dr. Treves, the two men quickly formed a remarkable friendship. Even the wealthy elite, including Alexandra, Princess of Wales visited Joseph. And then, on April 11, 1890, Joseph Carey Merrick sadly died at the age of twenty-seven years old of asphyxia which is a condition where the body is seriously deprived of oxygen. It was believed that he was awake, attempting to get up from his bed just prior to his death. He was found stretched across his bed with a dislocated neck. Perhaps the weight of his head was too much for his neck to support. His skeletal remains can be found on display in the Royal London Hospital, which is a large educational facility in London, England. “Tis true my form is something odd, but blaming me is blaming God. Could I create myself anew, I would not fail in pleasing you. “I am not an animal! I am a human being! I … am … a man!” ~ Joseph Carey Merrick, a.k.a. “The Elephant Man”. 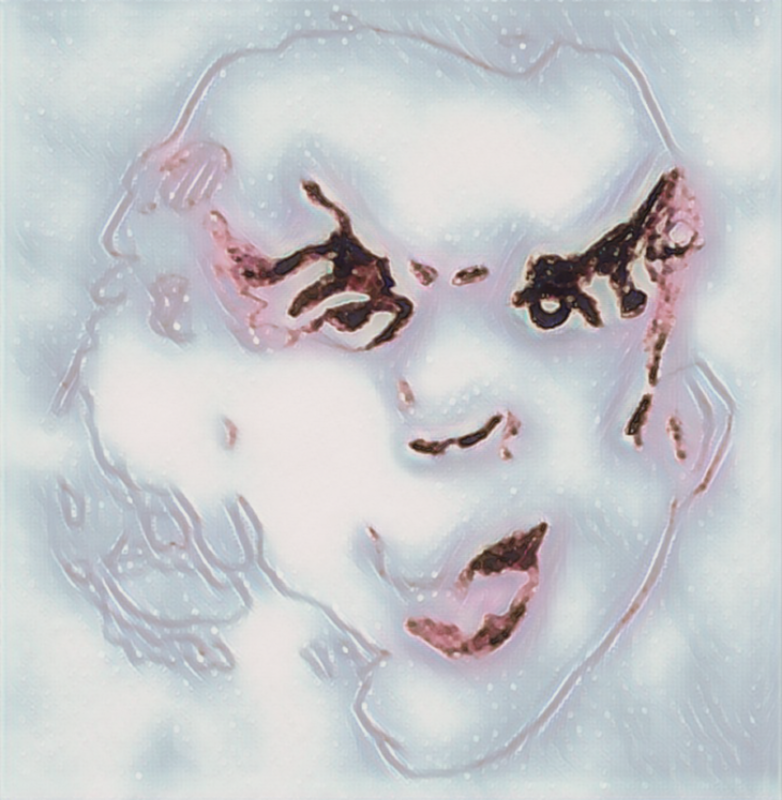 Here is the artwork that I created in honor of Joseph Carey Merrick simply titled, “The Elephant Man”. Prints, pillows, blankets and even stationary…. available only at Fine Art America! A supernatural perspective on two of Mother Nature’s beautiful creations! It is that wondrous time of year when everything starts to bloom and being the artist that I am (aside from also being an author), I couldn’t help but take the opportunity to explore this creative moment! “Ghostly Petals” is a work of art that I’ve recently finished and I couldn’t wait to share with all of you! Not only is “Ghostly Petals” (and my other works of art displayed on Fine Art America) available as a print, it’s also available as a greeting card, spiral notebook, throw pillow, tote bag, coffee mug, and so much more! An enchanting exhibit of Mother Nature’s blooms! Is a photograph that I recently took of some beautiful orange lilies that bloomed right outside our living room window. I was so mesmerized by the flowers’ vibrant color that I couldn’t resist the opportunity to grab my camera to permanently capture their image. 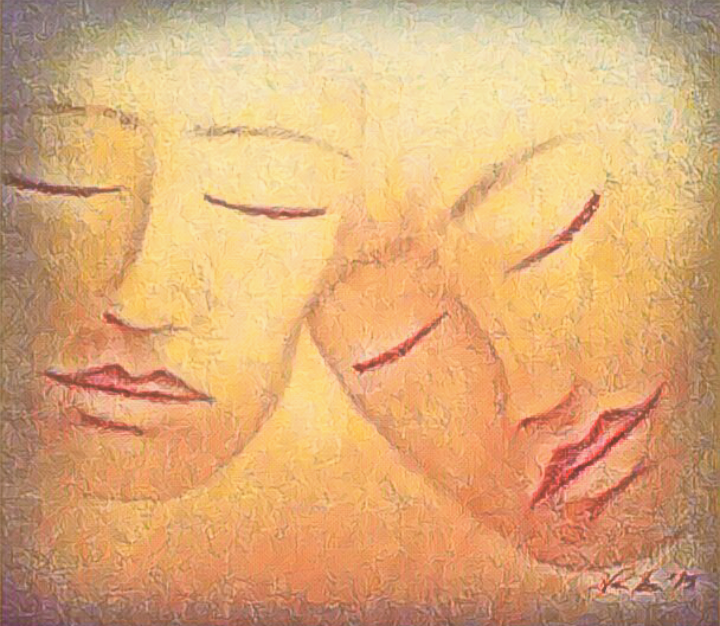 And yet, even though they were already beyond being exquisite in their own lovely way, I gave them a little more glamour by enhancing them with digital effects. 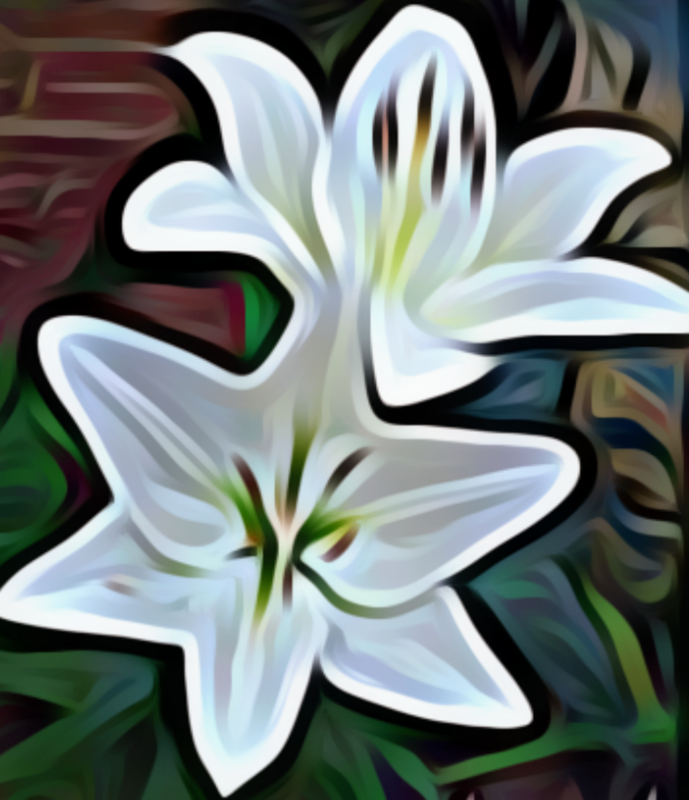 I was so pleased with how it all turned out that I wanted to make “The Three Lilies” a wonderful piece of art that everyone can enjoy as well. 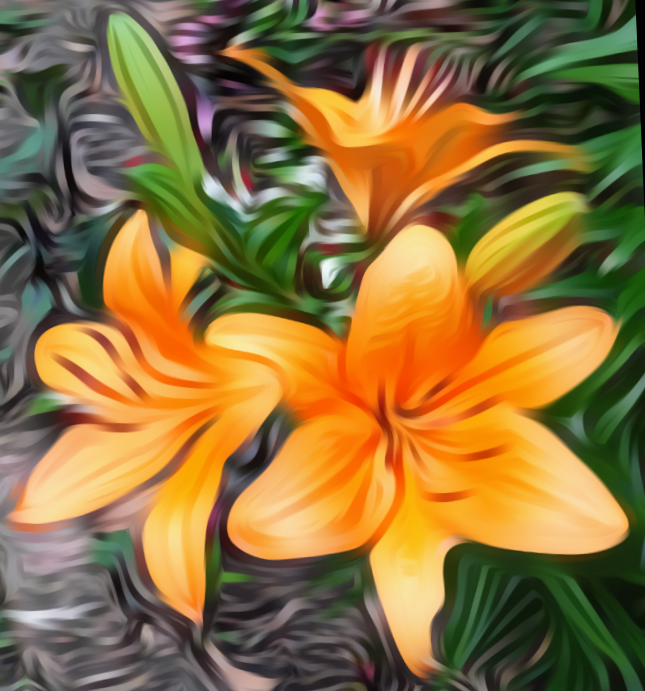 “The Three Lilies” is available in various, exciting ways from prints that can be beautifully displayed upon the wall, to your very own throw pillow, duvet cover, tote bag, phone case, coffee mug and so much more!